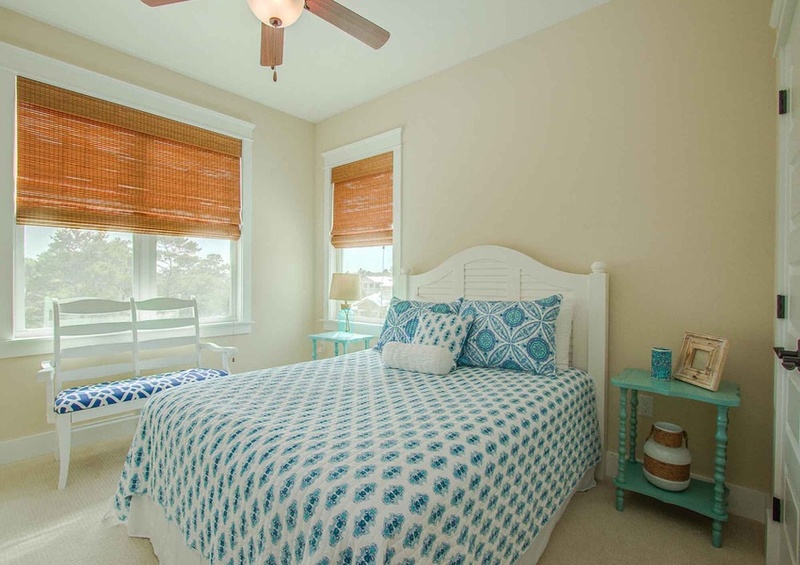 Safe Haven is just that- the perfect getaway for your next family vacation! 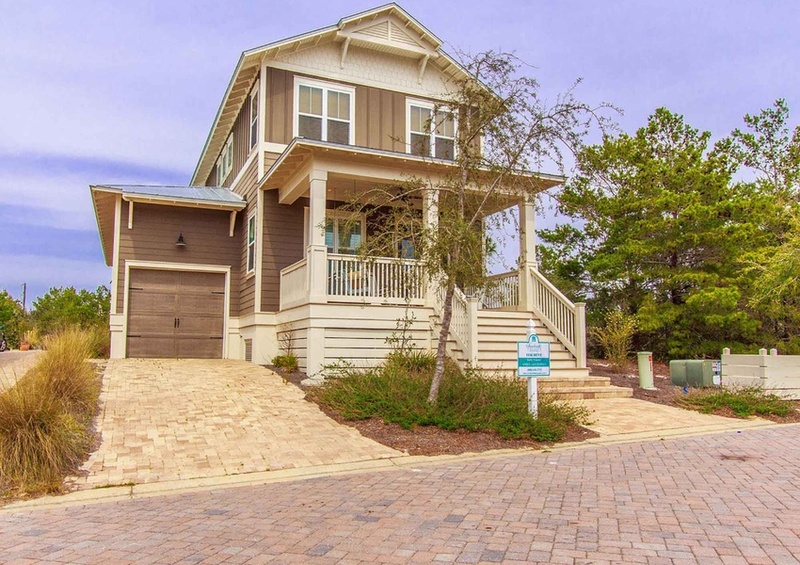 This is a gorgeous upscale home is located in the Highland Parks community in charming Blue Mountain Beach. 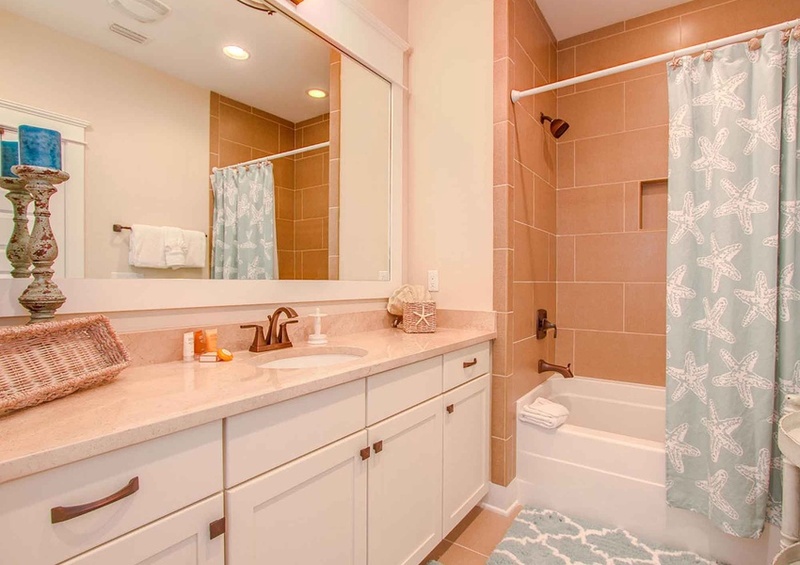 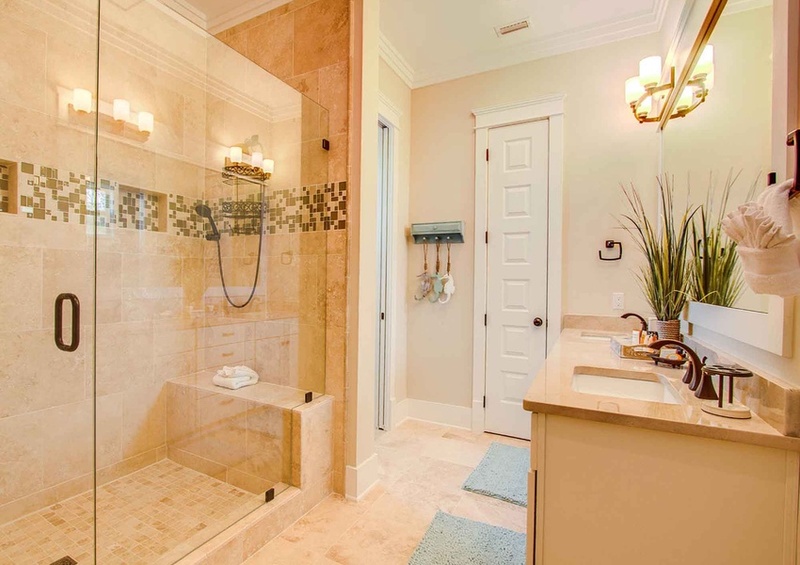 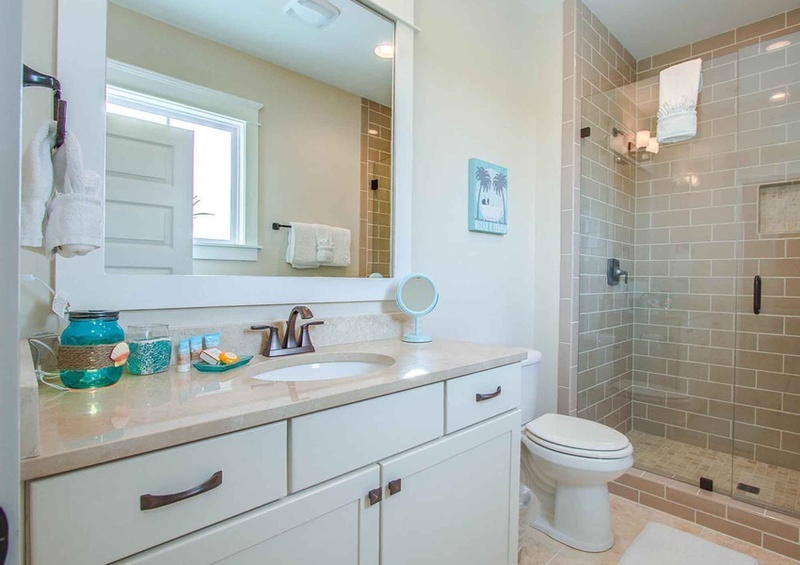 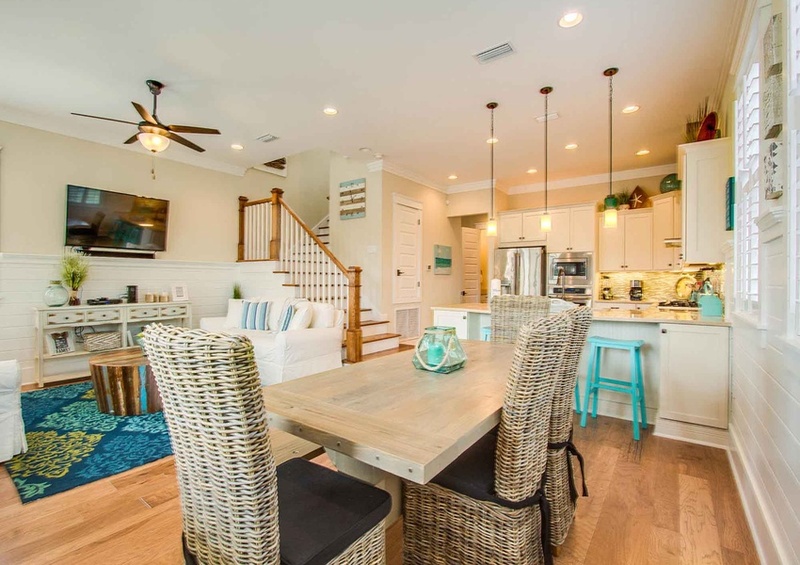 This brand-new four-bedroom home is exquisitely decorated with gentle colors of the sea. 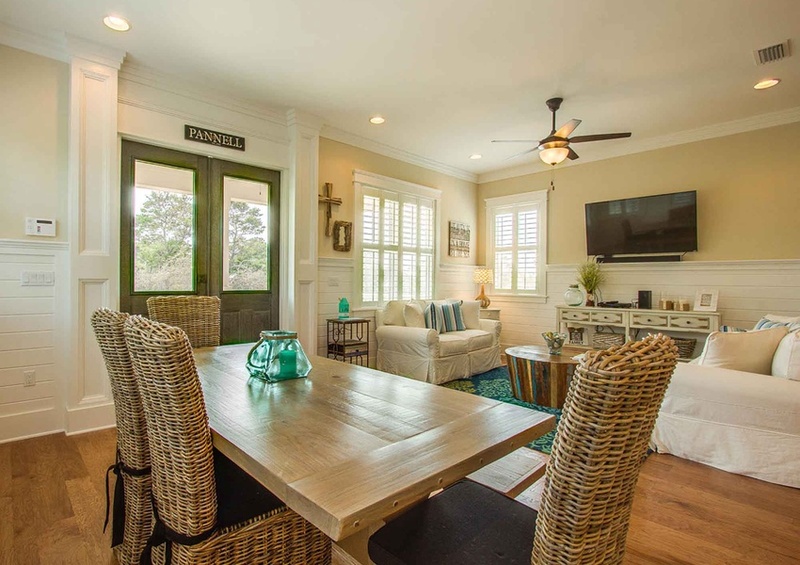 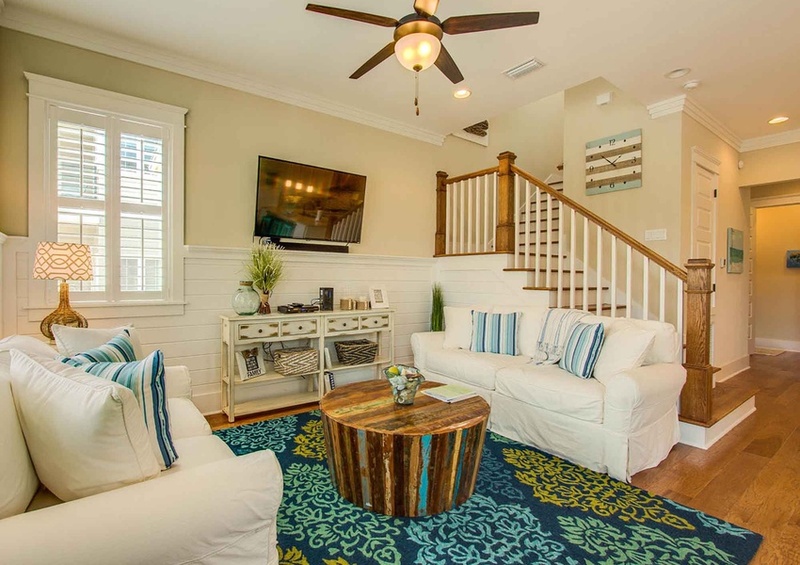 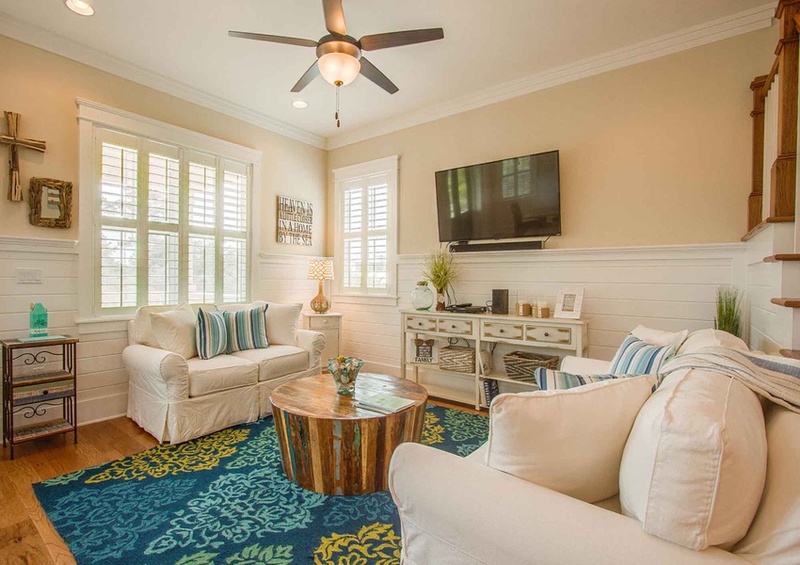 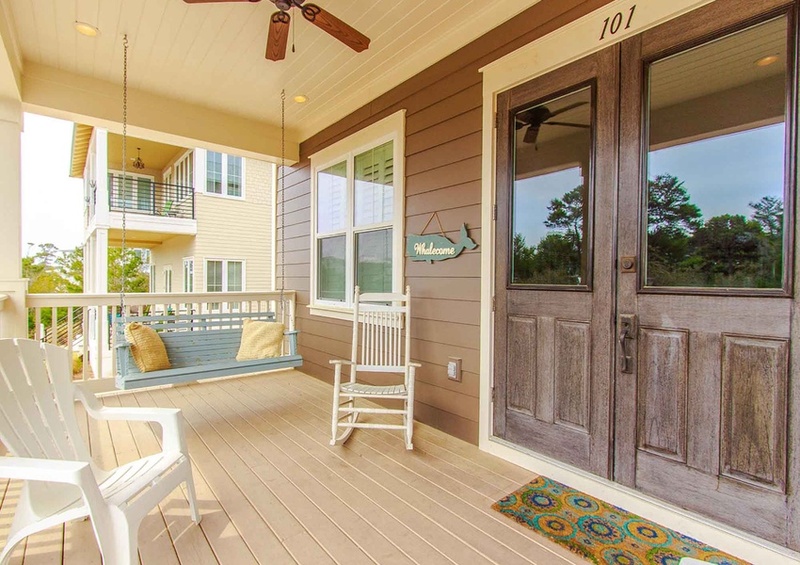 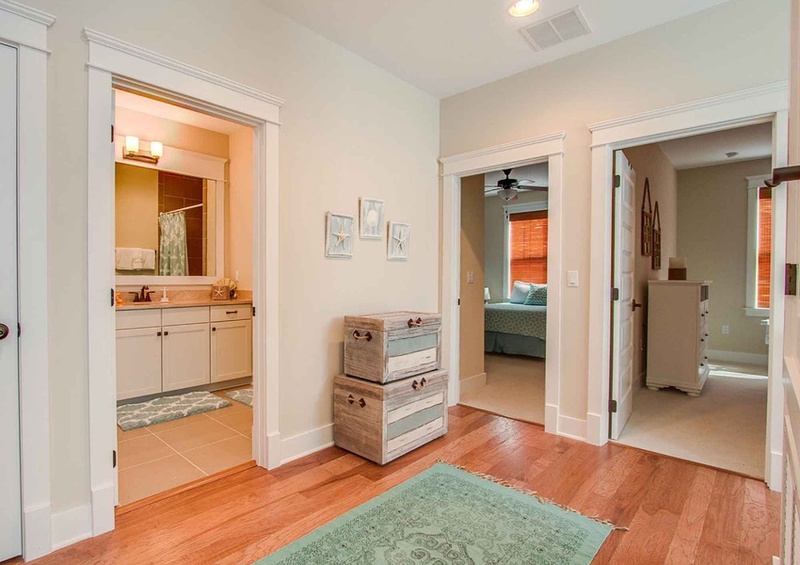 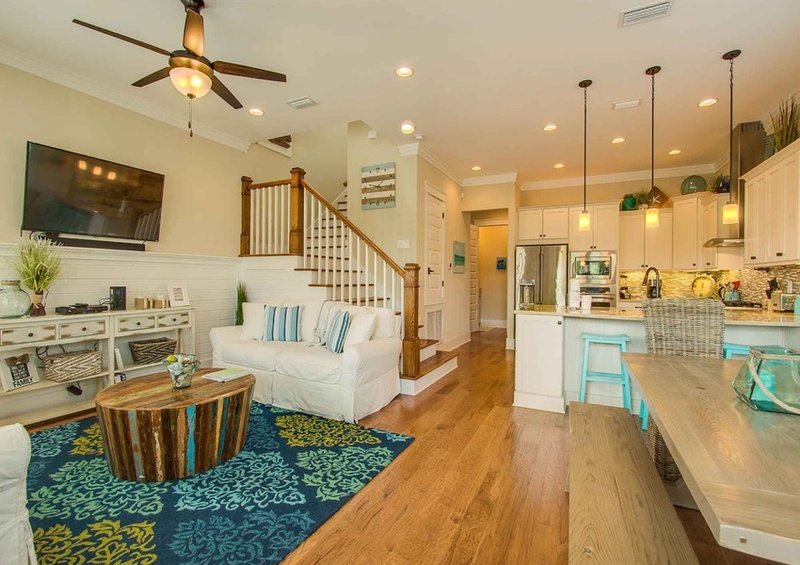 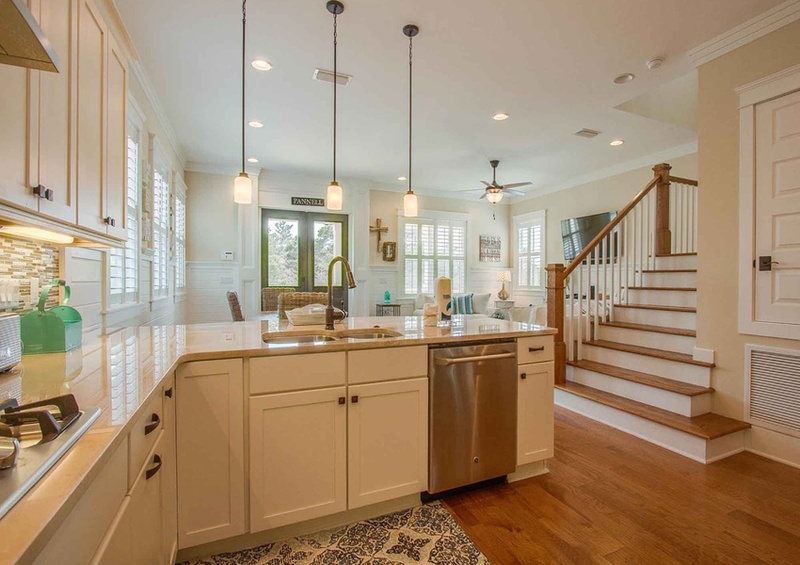 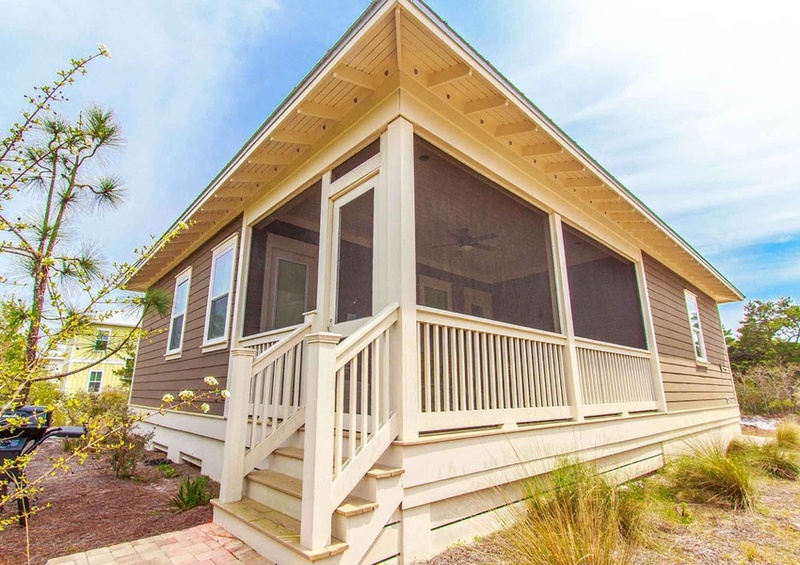 As you enter this gracious home, you are greeted by warm hardwood floors and coastal shiplap. 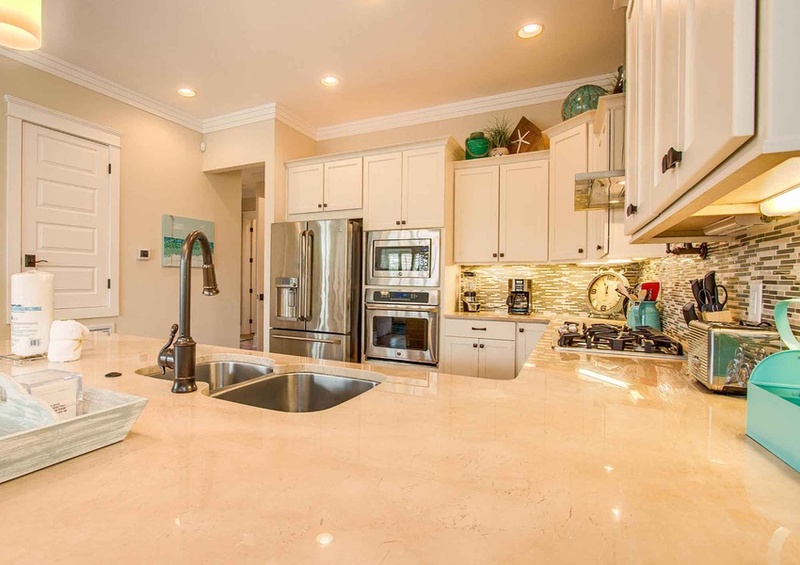 It is easy to entertain many in this open concept living, dining and kitchen area. 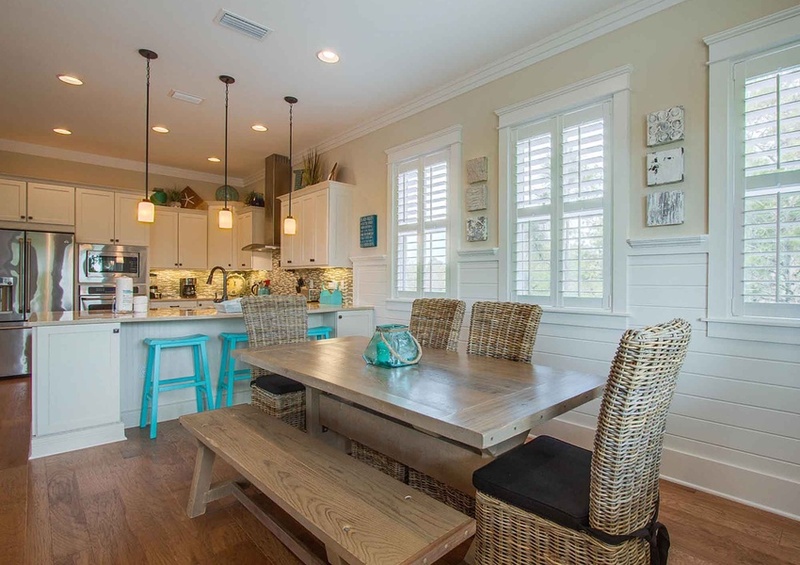 Prepare beach snacks or evening meals in the modern and sleek gourmet kitchen. 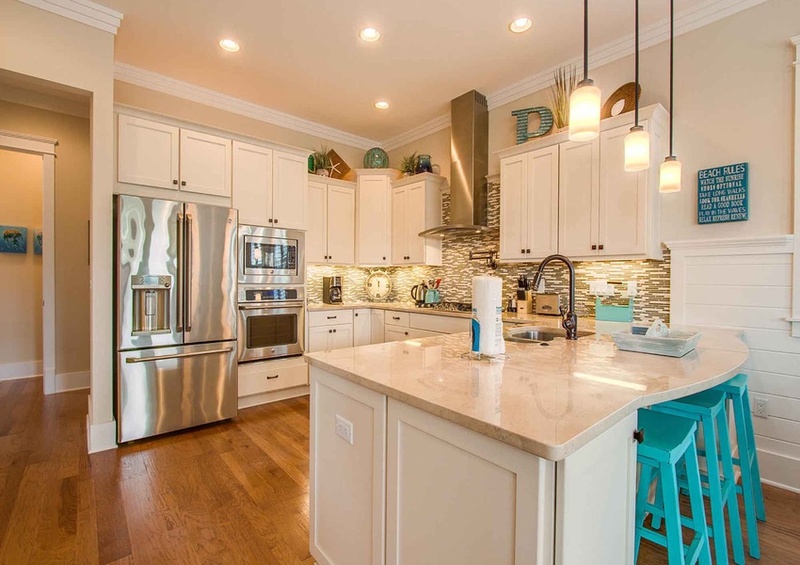 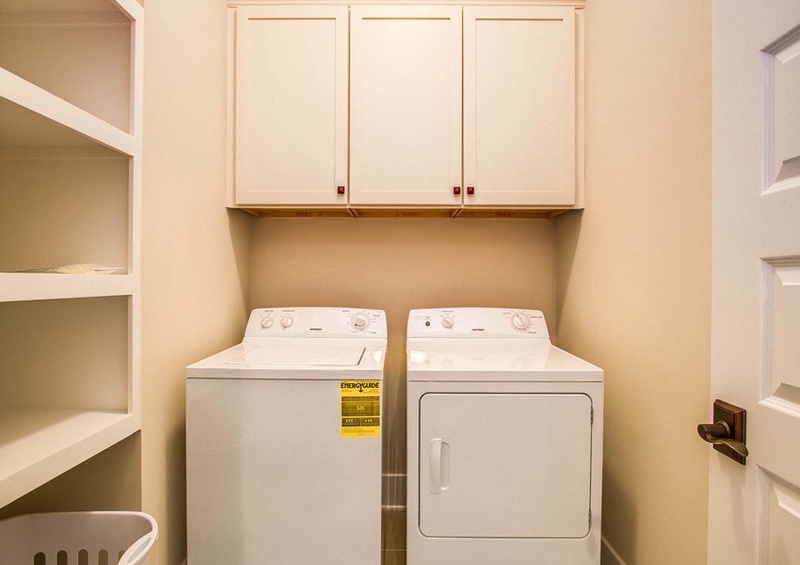 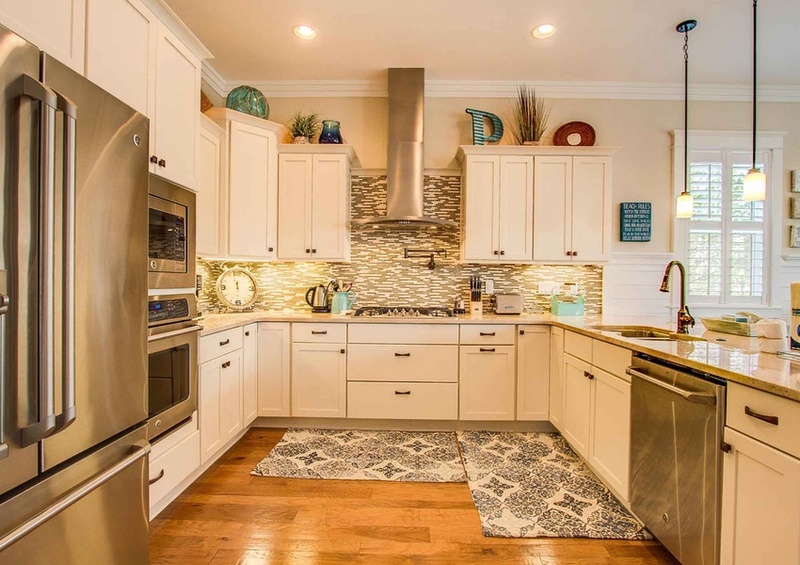 White cabinets, granite countertops, and stainless-steel appliances complete the contemporary look. 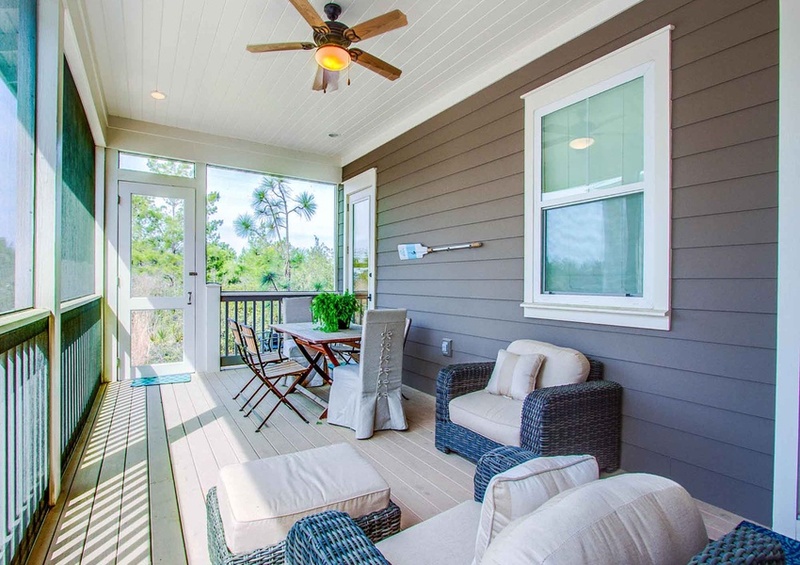 A very spacious screened-in back porch with lounge chairs and dining seating make it the perfect spot to relax. 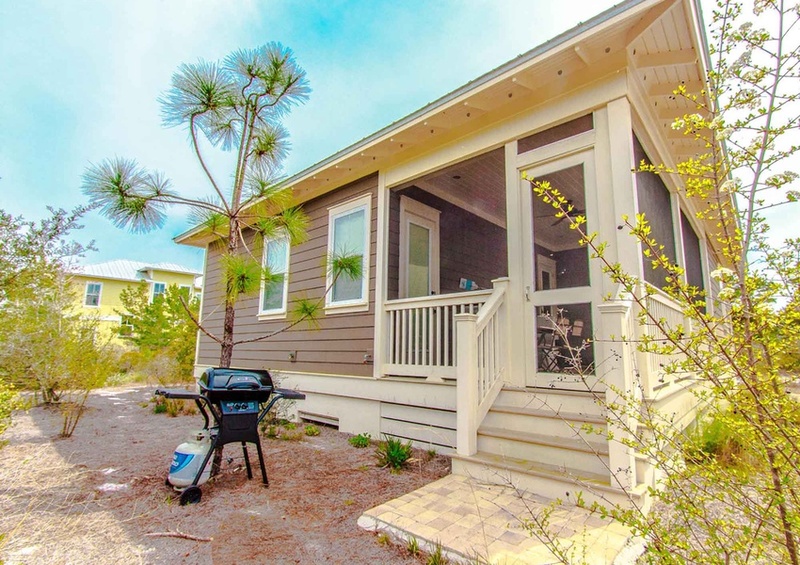 In addition, a gas grill is also available outside on the back patio for easy lunches. 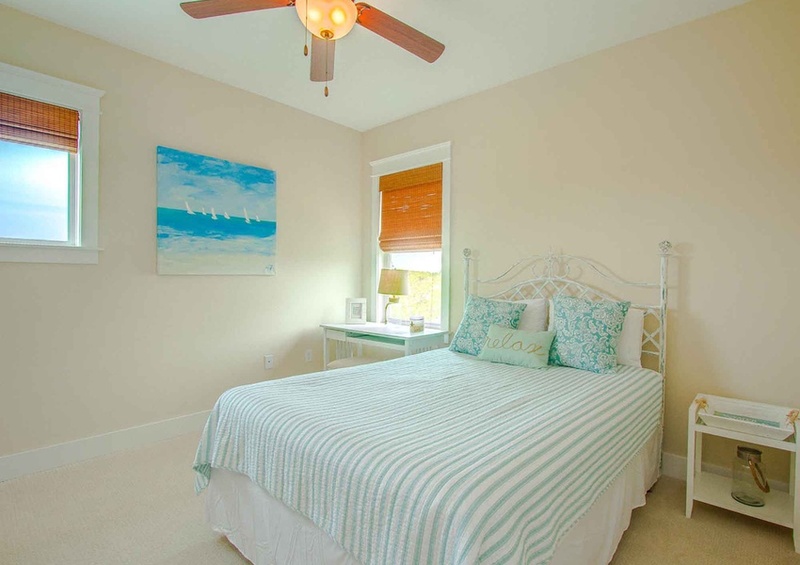 A large master suite is located on the first floor of the home. 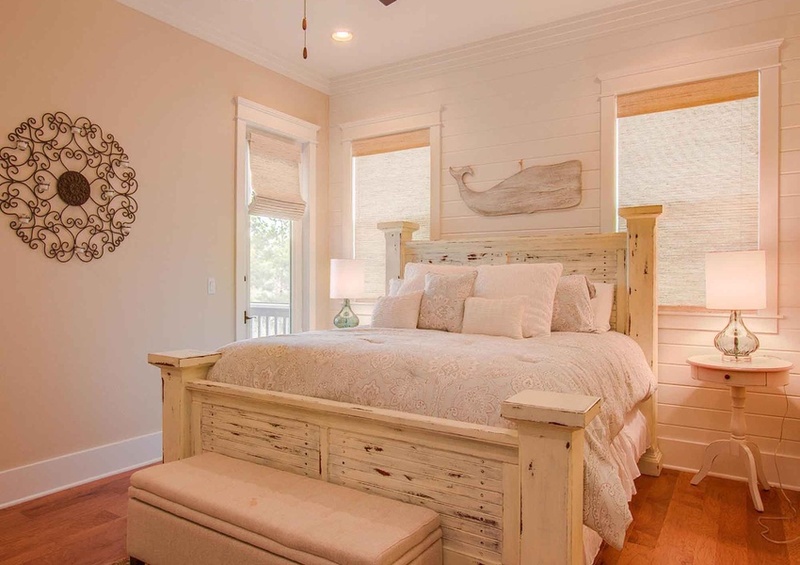 Later, this is the perfect retreat to catch up some much-needed rest! 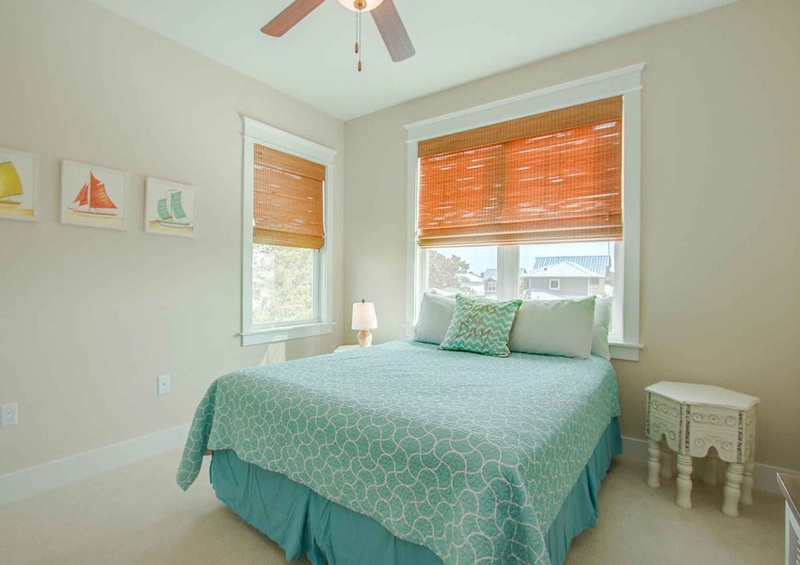 On the second floor, three other spacious room offer all queen beds, a private bathroom for one of the rooms, and a shared bathroom for the other two bedrooms. 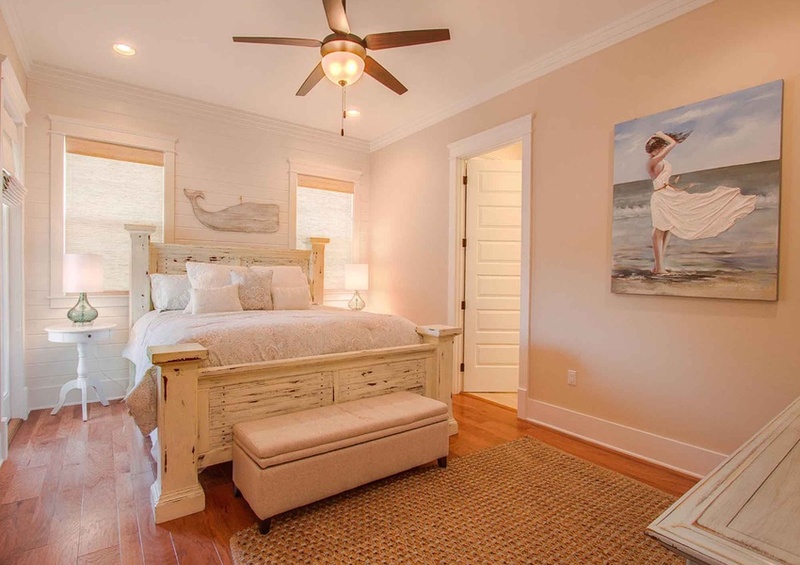 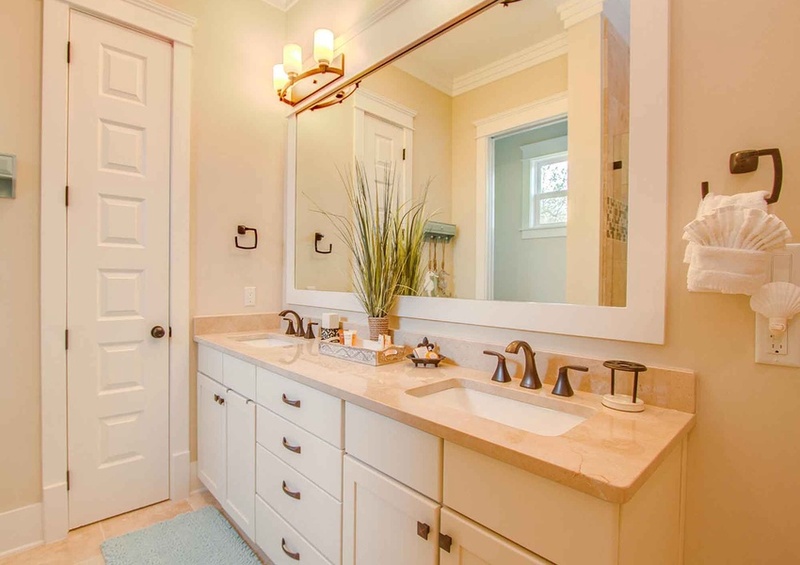 All are decorated in a soft soothing color scheme. 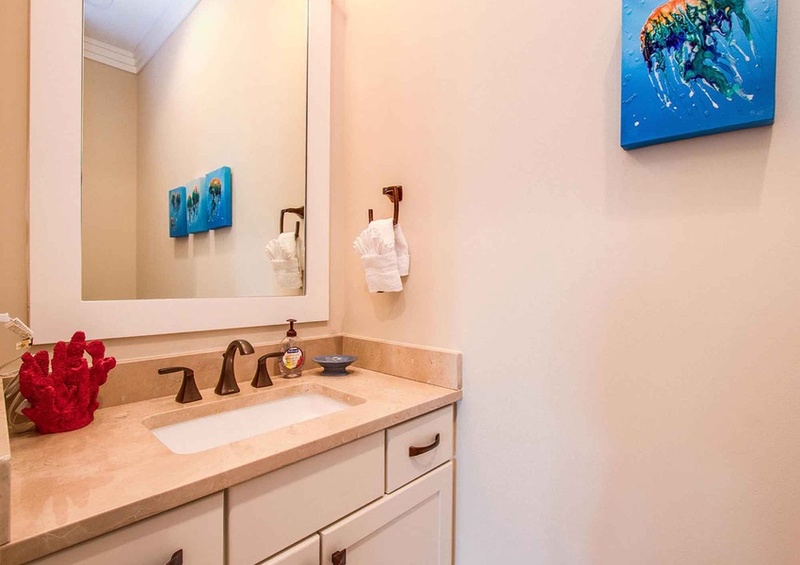 Meanwhile, the Highlands Park community offers a majestic swimming pool and lounge area. 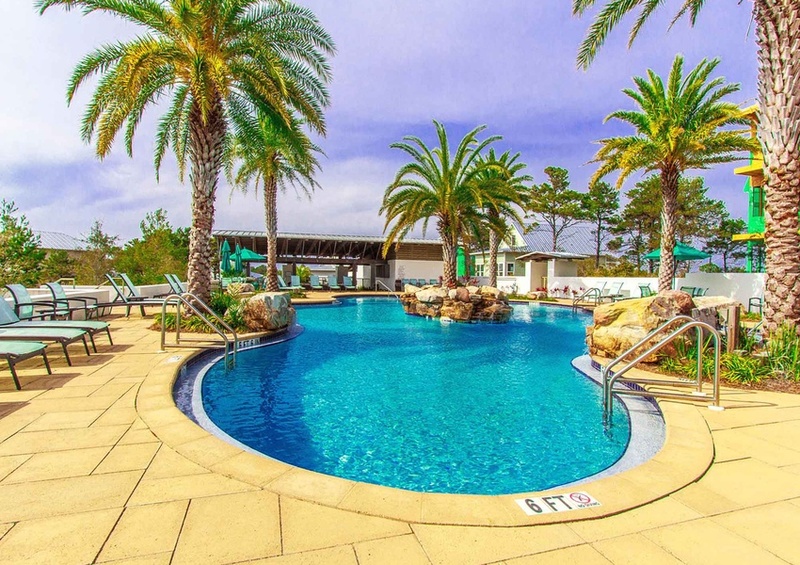 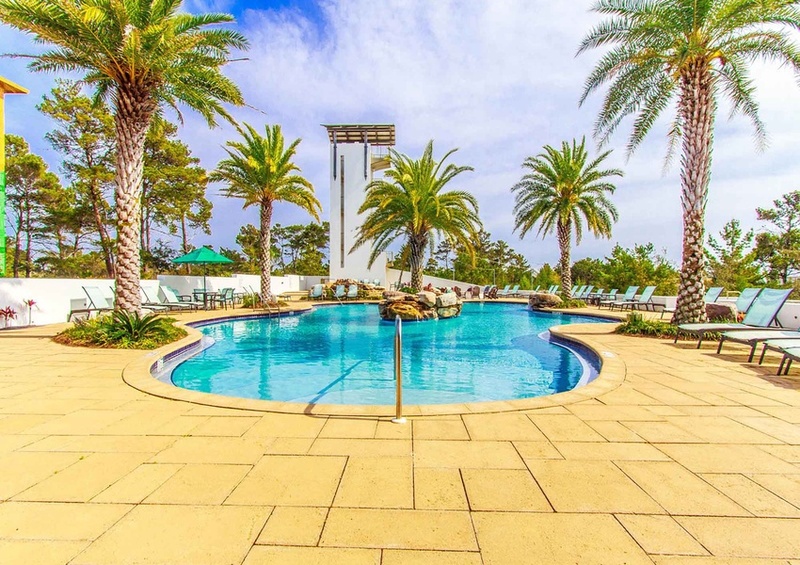 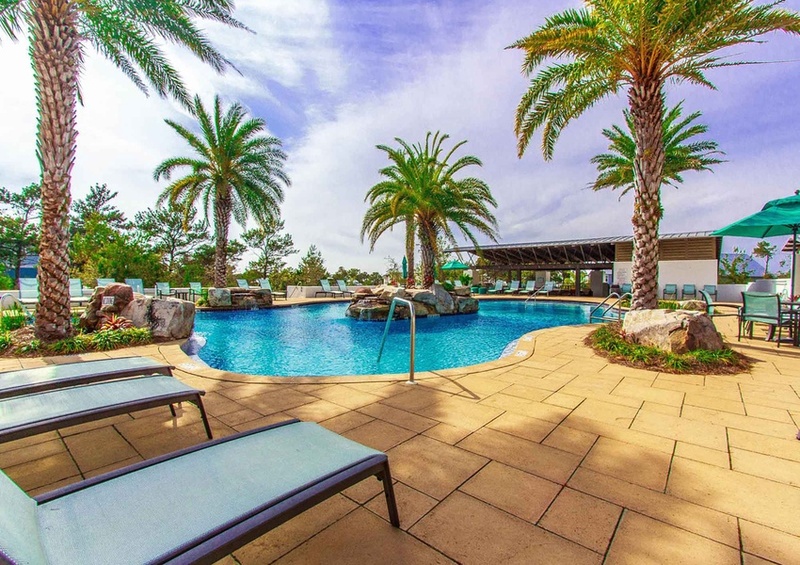 The free-form swimming pool is the focal point of the resort-style gathering place at Highland Parks complete with breezy palms and beckoning lounge chairs. 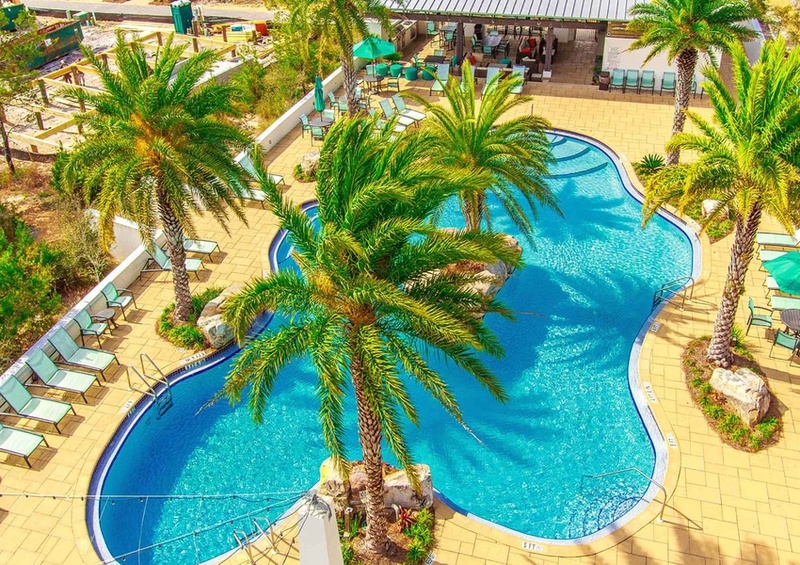 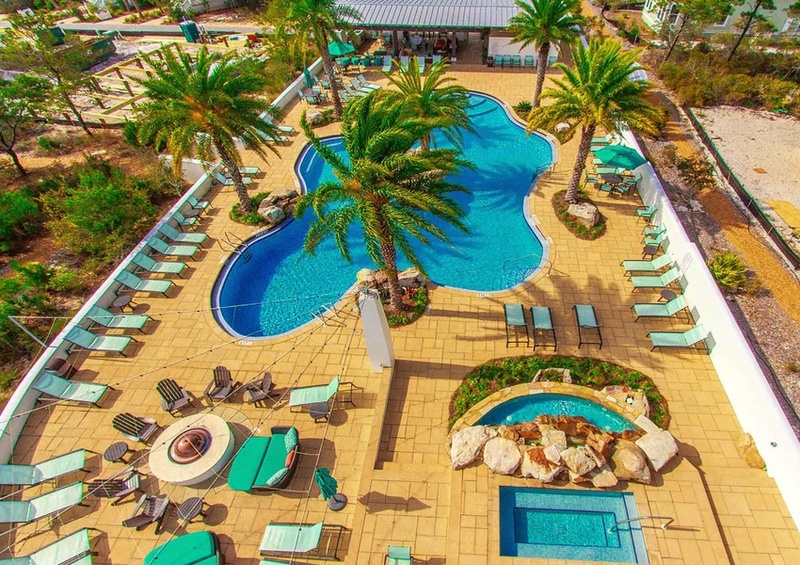 This relaxing oasis offers everything you need for an afternoon of fun in the sun. 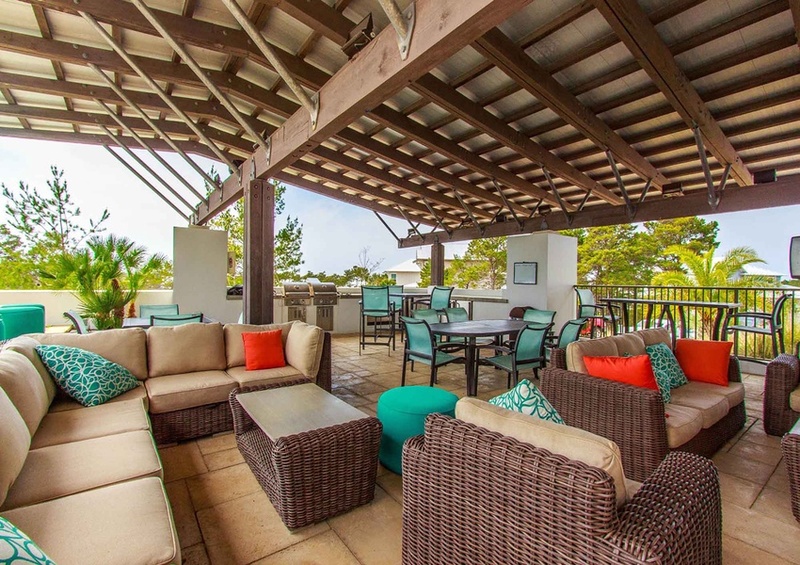 In addition to the pool and hot tub, there is a huge outdoor grilling area and plenty of shady places to sit. 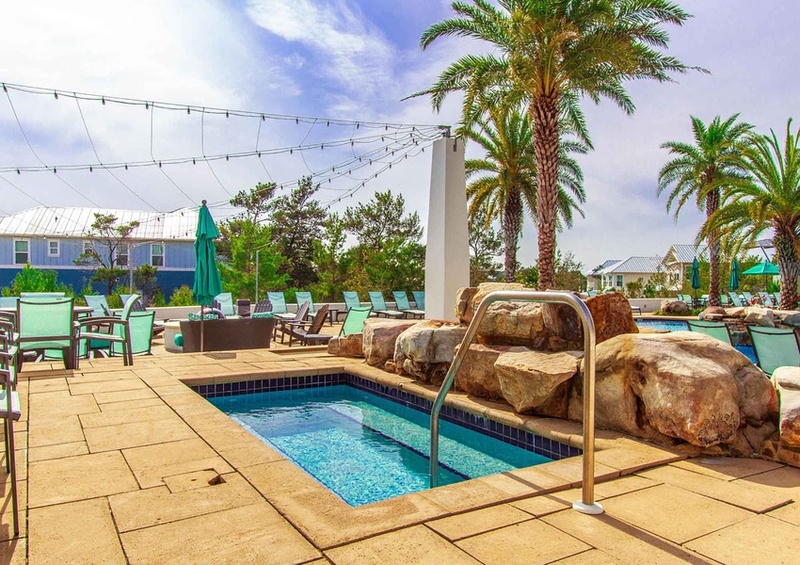 After dinner, gather around the fire pit, roast some marshmallows and watch the colorful Florida sunset. 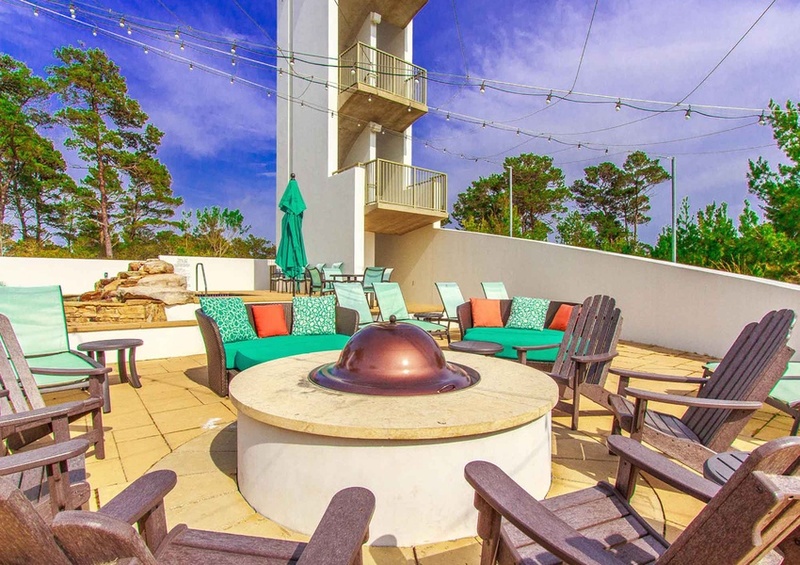 Later, venture up the huge observation tower and take in 360-degree views of the entire coastal area. 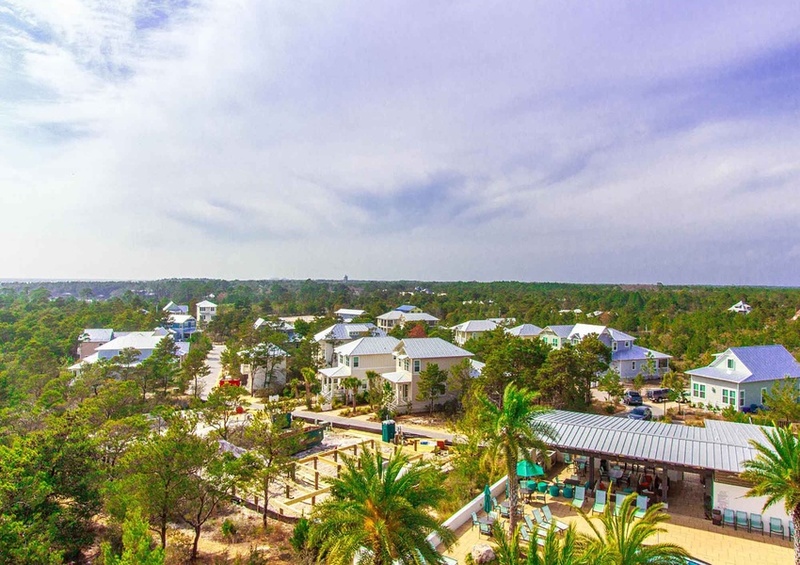 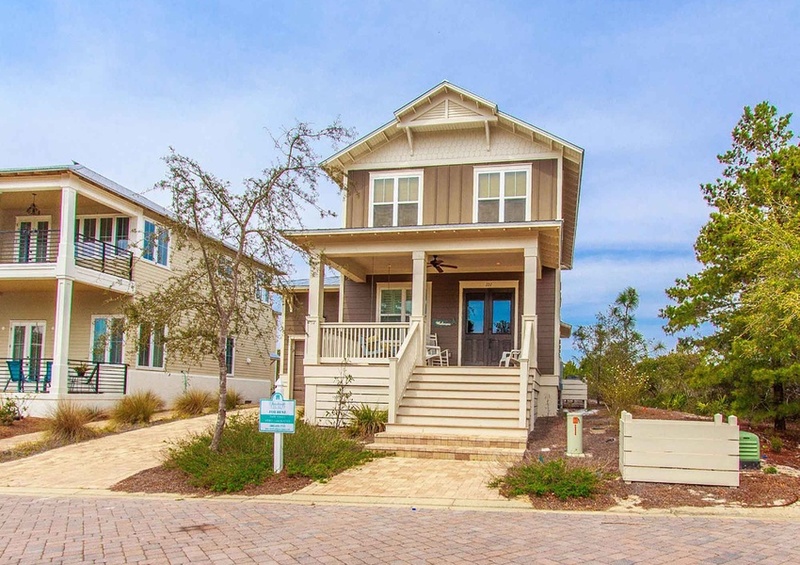 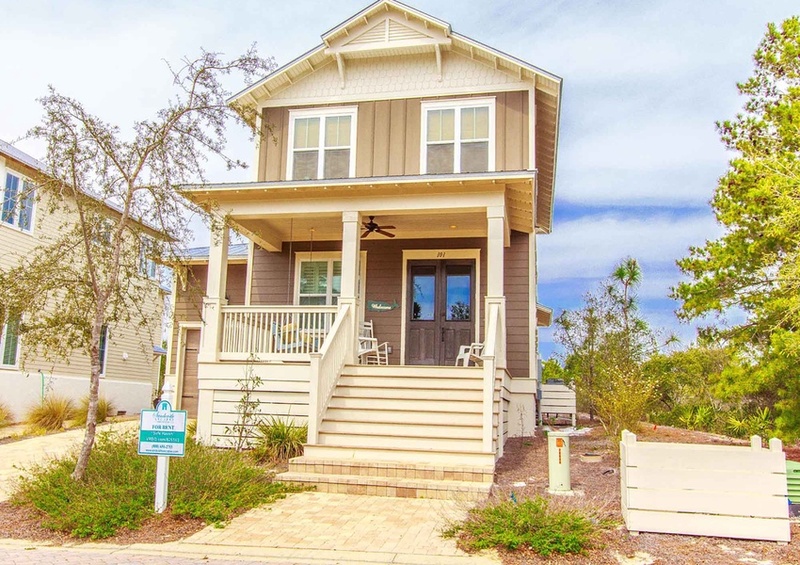 Finally, be sure to visit all the beach communities along Scenic 30A. 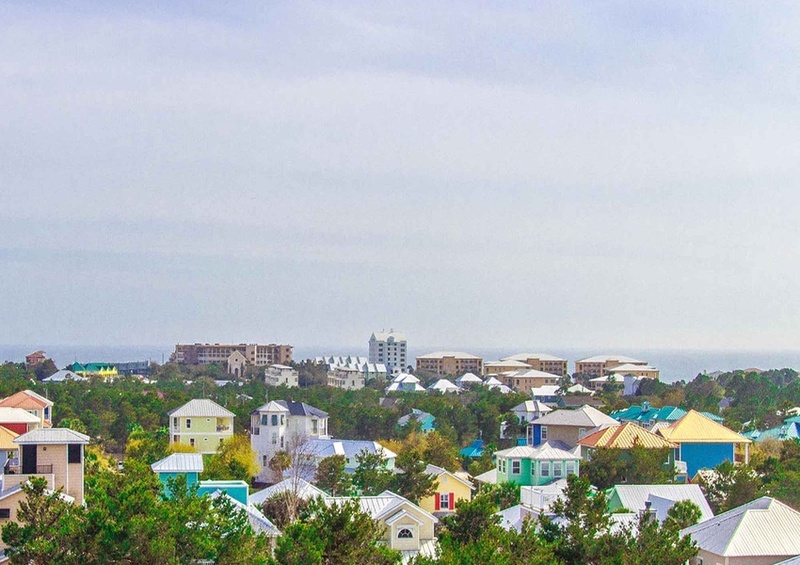 Check out the local eats in every Seaside and Rosemary Beach in order to take advantage of all the culinary delights. 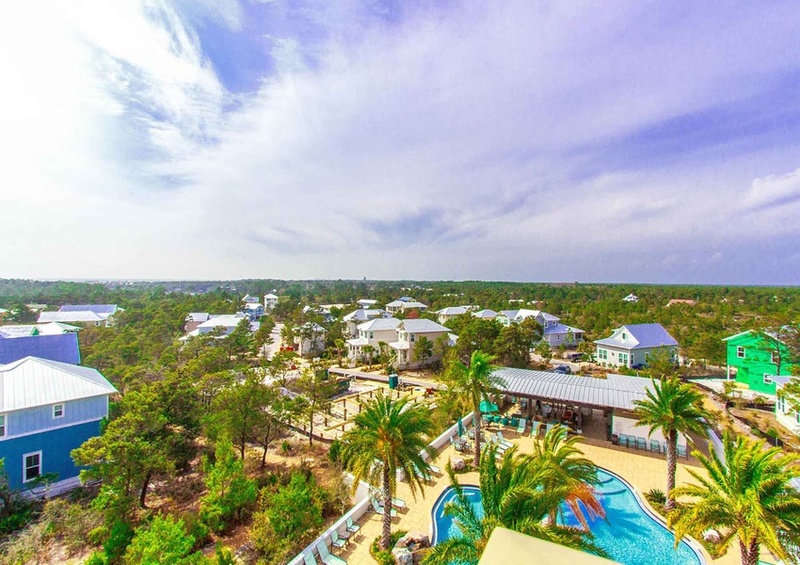 Book your reservation now and come experience the magnificent Gulf Coast of Florida!